The Retired and Senior Volunteer Program (RSVP) offers challenging and rewarding volunteer opportunities for Washington County residents 55 years and older. RSVP provides the opportunity to reinvent yourself, a chance to find your passion and share your life experience. An investment of just a few hours a week can make a real difference in your own life as well as the lives of those you serve. Volunteer service is woven into the fabric of Washington County. RSVP volunteers provide seniors with transportation to medical appointments and grocery shopping, serve at local food pantries, deliver meals to shut-ins, listen to children read, and distribute commodity boxes to low-income seniors. They assist travelers, serve as docents and lend a hand at area festivals and events. 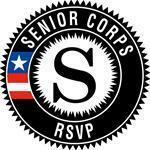 Joining RSVP is a way of enriching the lives of those around you. Our volunteers report an amazing side effect of service, the feeling of accomplishment and fulfillment. Make a difference today. Check out the photo gallery and see what is missing in your life. Developed as part of the Washington County Homeless Project, this guide serves as a directory for emergency assistance and immediate needs for Washington County residents (including some Parkersburg services). This guide is free to the public and updated quarterly by the RSVP office. Further assistance can be found on the Family & Children First Council and Community Action. Washington County residents may also dial 2-1-1 to locate services.